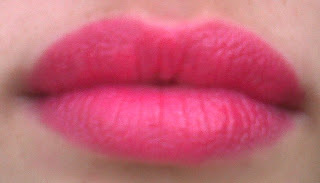 The lipstick that I'm going to review today, people either love it or hate it. Well, All I got today was hate towards it, but since I really like it, I just laughed off all the 'What the hell do you have on your lips' comments. . If you still haven't checked out the newly launched Catrice stand, please do go to Tony's Pharmacy in Gzira. 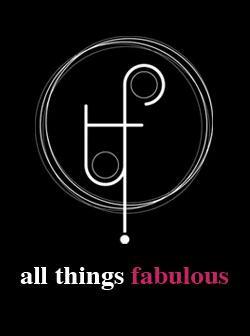 This brand is so muh better than all the other animal tested brands like L'Oreal or Max Factor. 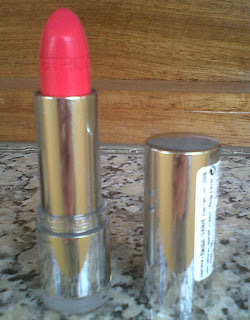 The packaging of the lipsticks (and the pigmentation of the colour) are much better than the essence ones! (Catrice and essence are both by cosnova in Germany). When you apply it, it's super pigmented and bright- and glossy. People would need to wear sunglasses to look at your lips. Not really, but yes, it's THAT bright. 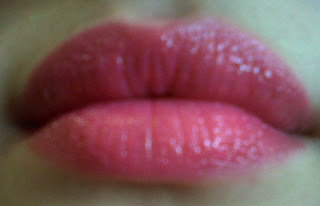 It glides really well on the lips and it has a slight sweet smell. After half an hour, it was still pigmented as after first applied. After an hour, i was still pigmented as well, but then, after an hour and a half, it was much less glossy. After 2 hours, my cousin asked me what the hell I was wearing on my lips because it's so bright. . .he should have seen my lips a couple of hours earlier!! After two and a half hours, my lips were still pink but mat tand the colour was fading from the sides of my mouth and flaking a bit on the top middle lip. I'm in love with this lipstick!! I love the colour, the consistency and durability!! Can't wait to try out other colours!! really like the packaging of it ! !